Process in which a chemical is added to a water stream in a controlled manner using a specialised pump. Chemical Treatment & Disinfection Experts – providing the right chemical treatment for the right application. 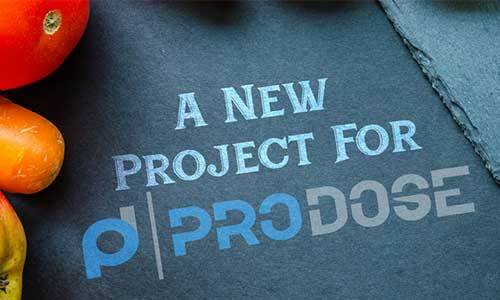 Prodose are completely independent experts in the chemical disinfection and treatment of water across a wide range of industries and applications. Our focus is primarily on problem solving and finding the right fit for our clients’ businesses. Access to many different manufacturers and a wide range of technologies ensure we can find the right fit for your process. The Prodose Process ensures that we first gain a full understanding of your operation and aims, and then make certain of your agreement regarding what you need to achieve. 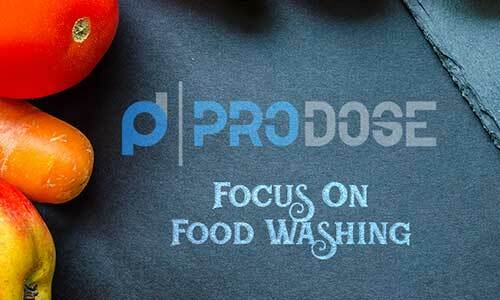 Whether you are supplying water for drinking, washing, bathing, cleaning or food preparation, Prodose are the expert partners you need to assess your current systems and advise on improvements. With our chemical engineering credentials and experience in the industry, including working for major utility providers as well as with many different businesses, Prodose has both the qualifications and track record to be your expert partner when it comes to advice on all aspects of water supply and disposal. Electrochlorination is the process of using salt, water and electricity to produce a low strength, low pH Sodium Hypochlorite solution directly on site. When it comes to disinfecting water safely, chlorine is the most commonly used chemical. It is a powerful bactericide and also leaves a residual disinfectant, protecting users further along the supply chain. Prodose can supply a range of solutions for different types and sizes of applications. Chlorine dioxide is, quite simply, a more powerful oxidising agent than chlorine in every way. It works better as a disinfectant and has the advantage of also breaking down odours. 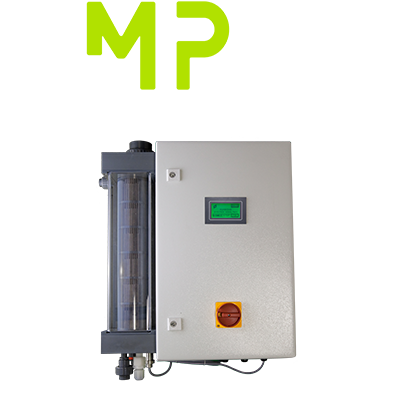 If you think a Chlorine Dioxide generator might be the best way to go, it is worth getting the benefit of our advice first. We are not on commission and have no interest in selling devices unless they are the most appropriate and effective option for your particular process. 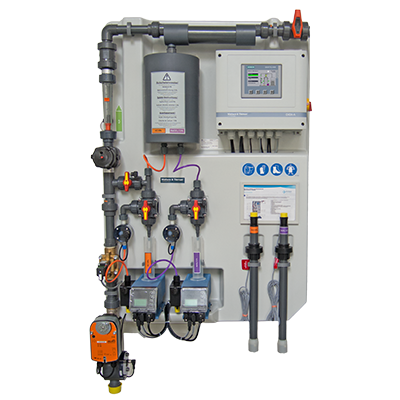 Instrumentation and controllers are fundamental to our ability to control water treatment processes. It is through the use of reliable and accurate instrumentation that monitors key parameters within the water that we are able to provide information back to the controllers that in turn govern the process. 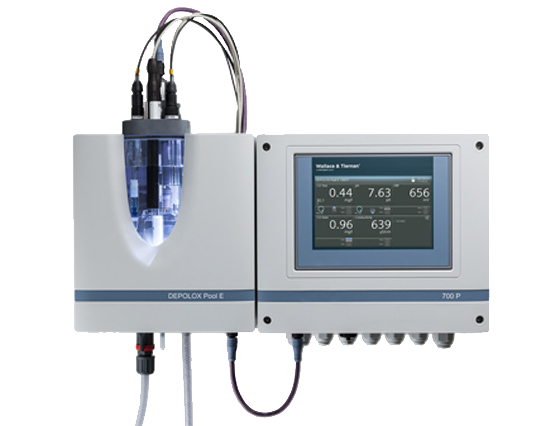 With a range of single parameter and multi-parameter controllers Prodose are able to supply instrumentation and control systems to meet the most difficult of disinfection control applications.